The Union Ride & Charity Rally is all about a solidarity of purpose that unites all motorcycle enthusiasts, working families and local nonprofits to come together and focus their combined resources toward creating a better life for those in our community who need it most. 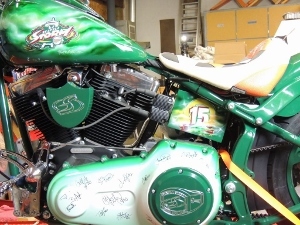 As one of the largest motorcycle charity rides and fundraising events of summer, this year may reach another new milestone and add the largest woman rider event in Washington State history to the books! Riders and event participants will ride and gather to share at the Key Arena in downtown Seattle for an afternoon of great riding, music, vendors and activities. The promoters proudly dedicate the 3rd annual event to Celebrating the Working Women of Washington. "We owe so much to today's working women that we had to elevate our event to showcase their power, beauty and grace on center stage - and deservedly so! Please welcome the newest Mission Partners and Event Sponsors of our 3rd annual fundraiser, the World Champion WNBA Seattle Storm!" notes the event founder, Patrick Town. 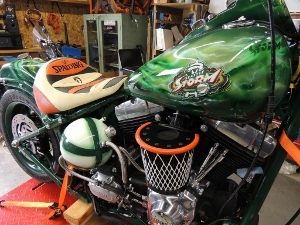 Following a massive charity motorcycle ride, participants will gather at Downtown Seattle’s Key Arena on Sunday, August 17 for a host of activities including live music, custom bikes, food and vendors. After the event, everyone can stay and participate in the WNBA Seattle Storm’s Annual Fan Appreciation Day for their final season home game. 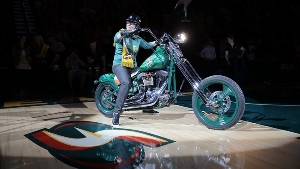 Highlighting the event and game will be a drawing for the first ever Officially Authorized WNBA Seattle Storm Theme Motorcycle, signed by players and given away on center court during a huge halftime celebration! 3 Ride Staging Locations: Destination Harley-Davidson Fife, Destination Harley-Davidson Silverdale and Emerald Harley-Davidson Lynnwood.